Bill was born in 1943 on a farm in western Van Wert County. He graduated from Convoy-Crestview High School in 1961, having obtained his FFA State Farmer Degree as a junior in 1960. He attended the University of Findlay, where he served as editor of the college newspaper and Student Sports Information Director, while also maintaining a small farming operation. 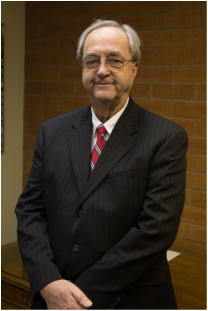 He graduated from the University of Findlay in 1965 and from the Ohio Northern University College of Law in 1968. He began his legal career as Assistant Prosecuting Attorney for Hancock County and Assistant Solicitor for the City of Findlay before joining the firm in 1973. (President, 1980); the American Association for Justice; and the American Bar Association, where he has served on the Family Law and Litigation committees. He is admitted to practice before all courts and agencies in the State of Ohio, as well as the United States District Court for the Northern District of Ohio; the United States District Court for the Eastern District of Michigan; and the United States Sixth Circuit Court of Appeals. Fill out this short form to get in touch with WILLIAM.